Ms. Ali Tiloh is the Programme Officer in the Counter Trafficking and Child Protection office of ECOWAS. 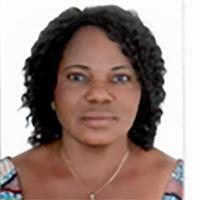 She is a Social Assistant and State graduate of the former National School of Social Welfare and Specialized Educators (ENAS) of Dakar, Senegal and has about twenty years’ experience, including 17 years working in Togolese Public Administration. She has been appointed to represent the Ministry of Social Action in Togo for the preparation of the annual reports of Togo as part of the follow-up of the implementation of the ECOWAS Action Plan against Trafficking in Persons, especially women and children.